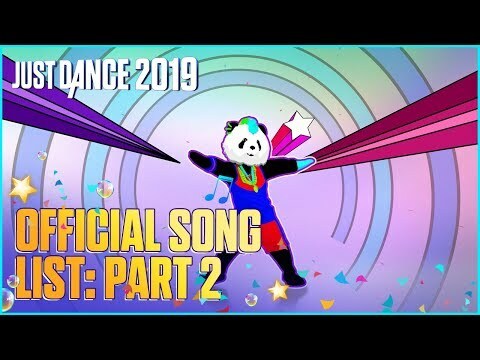 PRODUCT DESCRIPTION Just Dance® 2019 is the ultimate party game with 40 hot tracks from chart-topping hits to family favorites, including "Finesse (Remix)" by Bruno Mars Ft. Cardi B., "Bang Bang Bang" by BIGBANG, "Shaky Shaky" by Daddy Yankee and more! 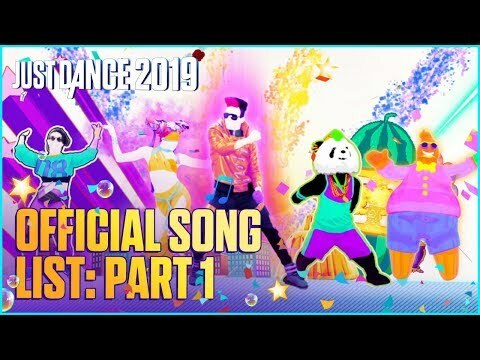 Features Dance to 40 hot hits, from "Finesse (Remix)" by Bruno Mars Ft. Cardi B. and more! 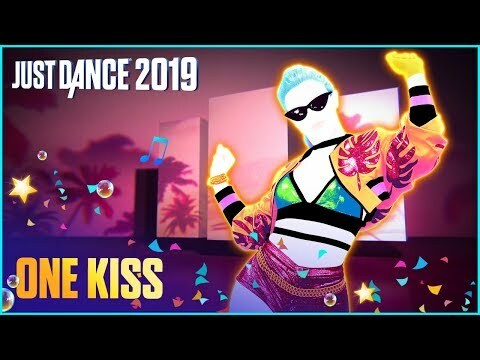 With Just Dance Unlimited, dance to more than 400 songs all year long. 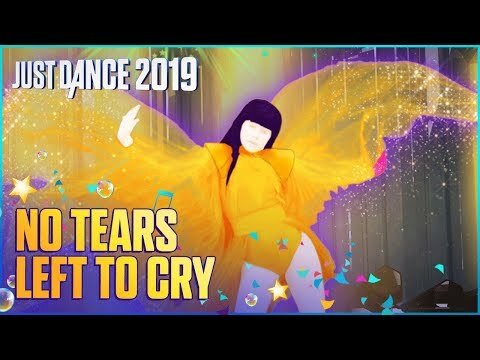 A one-month trial is included with every purchase. Jump into an even more personalized experience, with a new curated homepage! 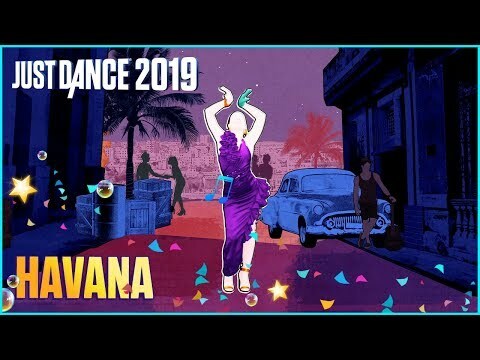 Eight exclusive choreographies created with the help of kids’ development experts to encourage healthy movement. 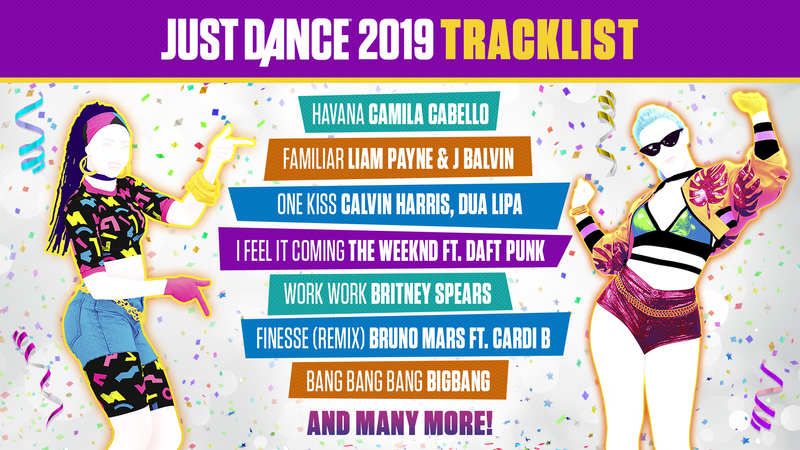 Just Dance® 2019 is the ultimate party game with 40 hot tracks from chart-topping hits to family favorites, including "Finesse (Remix)" by Bruno Mars Ft. Cardi B., "Bang Bang Bang" by BIGBANG, "Shaky Shaky" by Daddy Yankee and more! 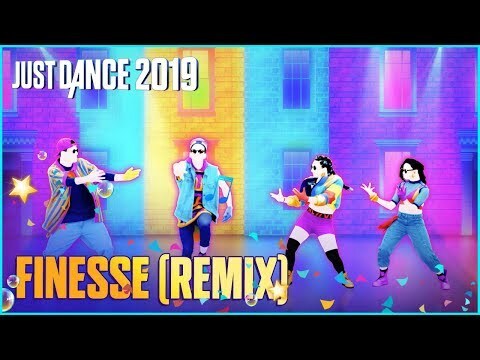 Dance to 40 hot hits, from "Finesse (Remix)" by Bruno Mars Ft. Cardi B. and more! Jump into an even more personalized experience, with a new curated homepage!